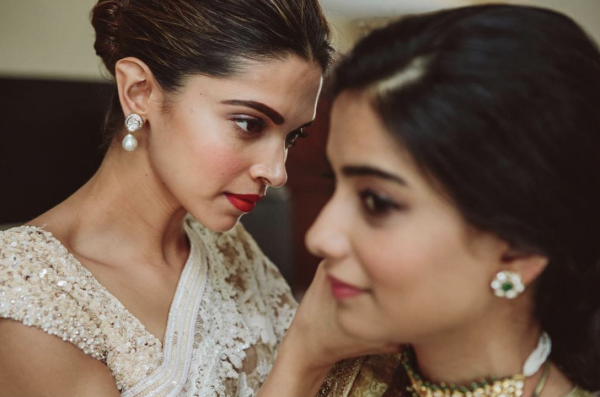 Deepika Padukone Played The *Perfect* Bridesmaid For Her Bestie's Destination Wedding! 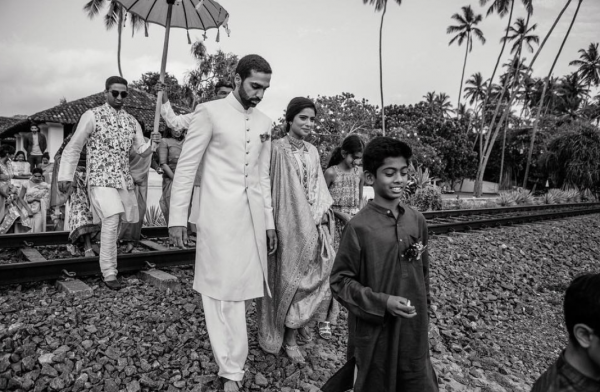 Deepika Padukone and Ranveer Singh are pretty much on, what I like to call, a wedding hangover. 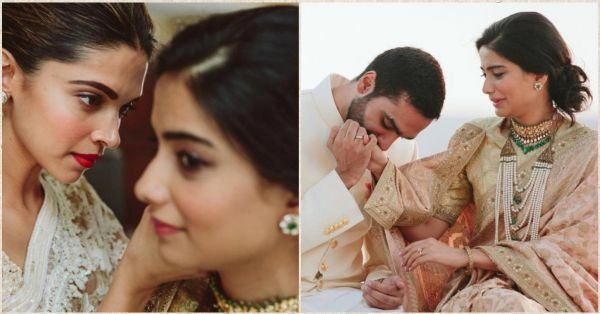 Since their own D-day at Lake Como, they've been the quintessential shaadi guests, dancing, laughing and having a gala time at all the tinsel town weddings. 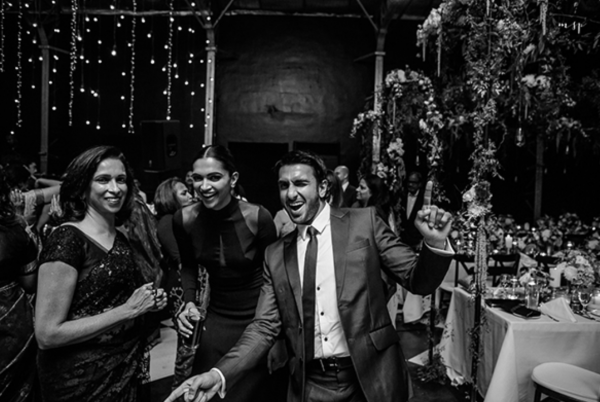 From getting their Pinga on at PC and Nick's reception and taking over the dance floor at Isha Ambani's sangeet to having a great time at Kapil Sharma's wedding, DeepVeer sure have had their hands full! But guys, this isn't a new thing. They've been the ideal wedding guests for some time now. 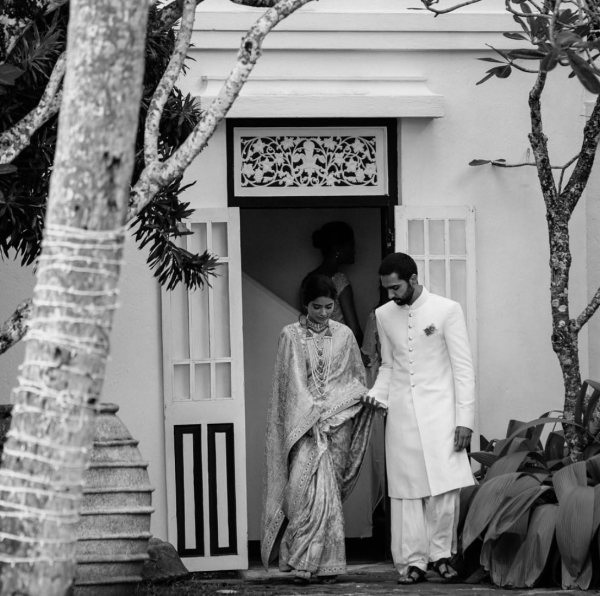 Photos from this Sri Lankan have just surfaced and you've got to see how beautiful they are. 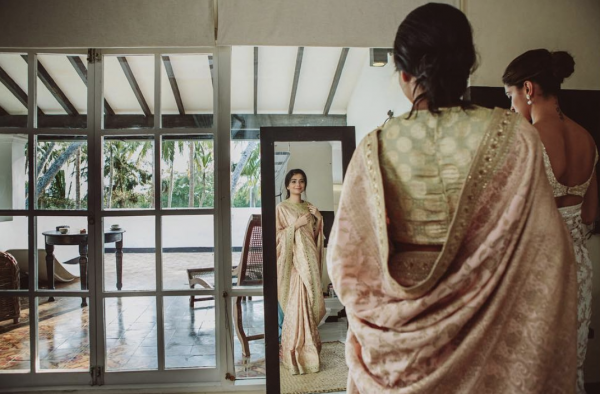 Now, Deepika Padukone is essaying the role of the perfect bridesmaid for her best friend's wedding in Sri Lanka. Can you imagine being helped by Mastani herself on your big day? That would truly be special! Deepika dressed in a white, net saree with a beaded blouse and kept it stylish and classy. She even went for a minimal jewelry look with drop, pearl earrings to compliment the ensemble. She went for her statement bold brow avatar along with a bright, red lip adding that extra oomph. Well, I'm a fan! 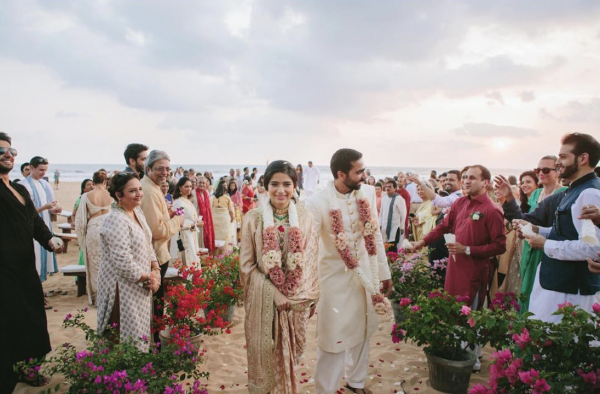 The bride, Srila Rao herself looked absolutely ethereal as well, draped in a pale pink saree for the most stunning beach wedding. 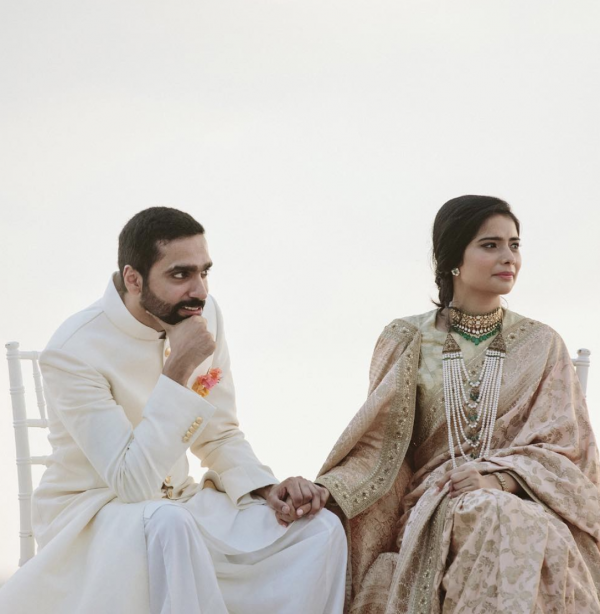 Even the groom, Nadir Firoz Khan complimented her beautifully in a dapper, white sherwani. 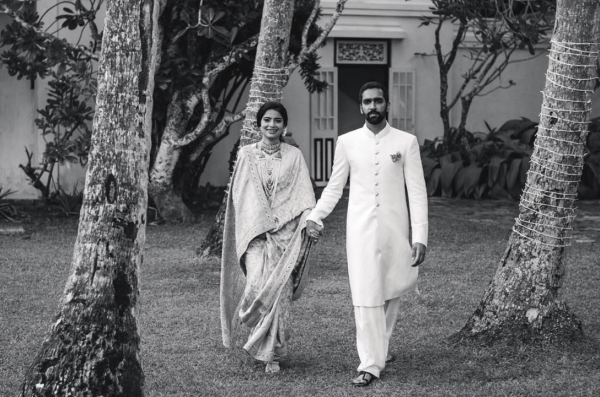 Srila's saree was a rose gold Sabyasachi creation. It was a brocade saree with a zardozi border and a gold Banarasi blouse. 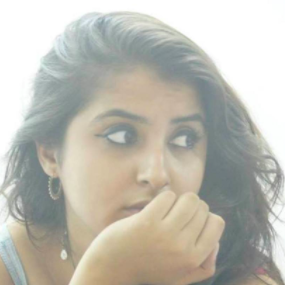 She too kept it subtle with her jewels, wearing a kundan and emerald choker along with a string of pearls. She also wore a pair of emerald studs and finished it off with classic gold kadas. 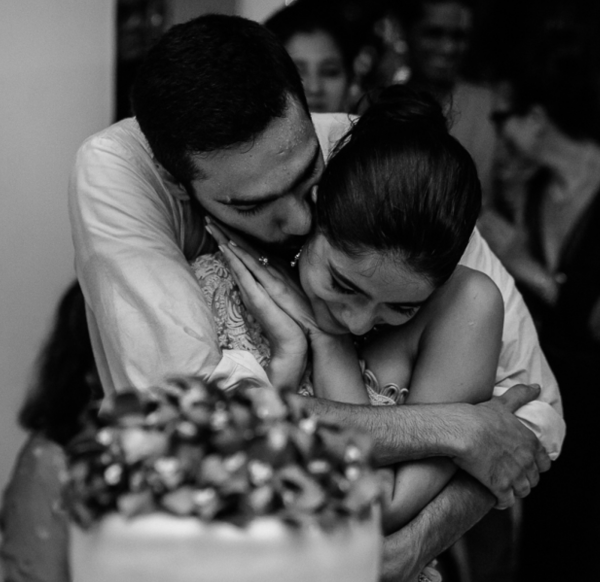 Kudos to the photographer, Mark Swaroop for capturing these tiny moments so gorgeously. Also, look at this one with Deeps, her mommy and her boo! And how is a beach wedding complete without throwing the couple into the pool after one too many glasses of wine. So ladies, get yourself a bridesmaid like DP to fix your hair, be by your side and make your D-day even more special. Also, we won't mind an enthusiastic Ranveer Singh to cheer us on too. 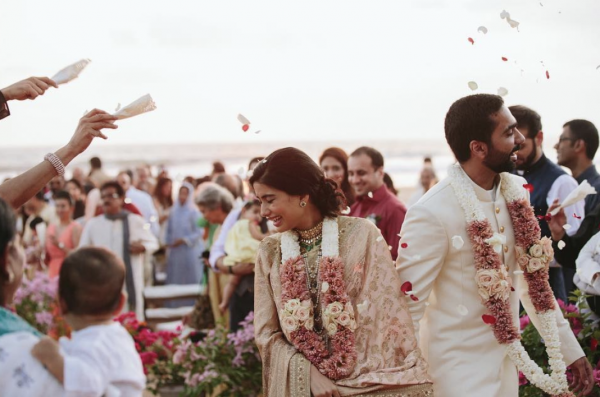 Sending our love to the couple, your wedding looked like a dream and we hope you float through life together too!